Hudson County, V. 8, Double Page Plate No. 2 [Map bounded by Summit Ave., Courtland St., Spring St., Paterson Plank Rd.] / surveyed and published by Chas. B. Brush. Vol. 8. Hudson County, V. 8, Double Page Plate No. 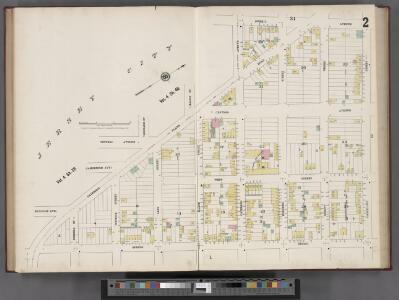 3 [Map bounded by Kerrigan Ave., Charles St., Courtland St., Bergen Wood] / surveyed and published by Chas. B. Brush. Vol. 8. Jersey City, V. 1, Double Page Plate No. 12 [Map bounded by Paterson Plank Rd., Jackson St., South St., Nelson Ave., Secaucus Rd.] / compiled under the direction of and published by G.M. Hopkins Co.
Jersey City, V. 1, Double Page Plate No. 11 [Map bounded by South St., Marshall St., Franklin St., Manhattan Ave., Hudson Blvd.] / compiled under the direction of and published by G.M. Hopkins Co.
Plan Of New York &c.
This actual map and comparative plans showing 88 years growth of the City of New York : is inscribed to the citizens by the proprietor, David Longworth / G.B. King sc. N.Y. 1817 ; engraved by Jas. D. Stout. 1 : 24000 Goodrich, S.G.
1 : 24000 Bradford, Thomas G.
Map of the city of New York : with the adjacent cities of Brooklyn &amp; Jersey City, &amp; the village of Williamsburg / drawn &amp; engraved by Story &amp; Atwood, 151 Fulton St., N.Y.